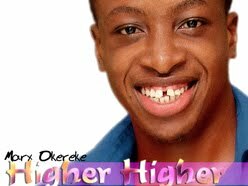 New music from Gospel Artiste and 2nd Runner-Up during the first edition of the NEXT GOSPEL STAR reality tv show 2011 Max Okereke Here is his African contemporary gospel hit single titled (Higher Higher) Prod. by Mike Oluwole. I love his vocals. He sounds strong and confident of what he is singing about. I actually had no idea this was another version of the Obuliwom song. And thankfully, he pronounces his words clearly so I had no trouble deciphering the lyrics. Thanks for sharing this! Lovely!... I certainly felt my body moving to the beat!... Is there more?